Mother Teresa of Calcutta will be made a saint, RCBC branch manager gets grilled during the Senate hearing, and more. 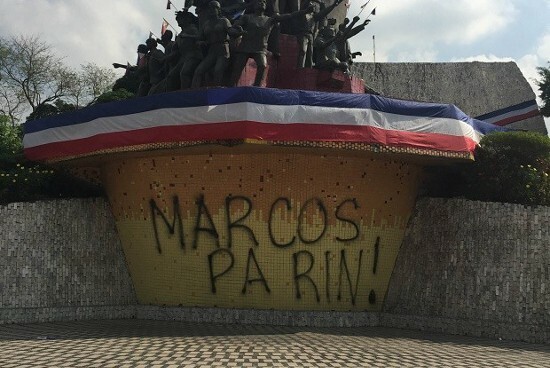 The People Power Monument has been vandalized with “MARCOS PA RIN!” and authorities say it may have occurred late Monday, March 14 or early Tuesday, March 15. The police is working on identifying the guilty party. Celso Santiago, EDSA People Power Commission spokesman, spoke about the incident saying, "Ginagalang ko ang kalayaan ng bawat isa na magpahayag ng kanilang saloobin at mangampanya para sa kanilang kandidato. Pero hindi na tama ang lumabag sa batas para gawin ang mga ito." Amidst speculations about being in a relationship with JC De Vera, her leading man in You're My Home, Jessy Mendiola says, “Hindi po kami, para diretso na.” De Vera for his part said that getting along with Mendiola was unexpected, considering that the teleserye was their first project together. Both Mendiola and De Vera express mixed emotions about You’re My Home wrapping up in two weeks. The teleserye will air its last episode on March 23. Miss Saigon has catapulted many Filipino talents into the international scene, so who knows who will get “discovered” next? Isay Alvarez, who played the original Gigi, admits to being nervous during the auditions. “I was quite nervous, but during that time I was young and eager and my dreams were bursting out of my pores,” she says. Lea Salonga, the first Kim, says that the Filipino artist is at par with the best in the industry. “We are artistically right up there, and it makes me proud when any one of us gets that moment in the sun on the international stage,” Salonga says. Miss Saigon auditions are currently ongoing. In a recent live Facebook chat with fans, reigning Miss Universe Pia Wurtzbach denied rumors that she was seeing someone. "There’s no specific someone in my life. This is the specific someone," she said, pointing to her Miss Universe sash. 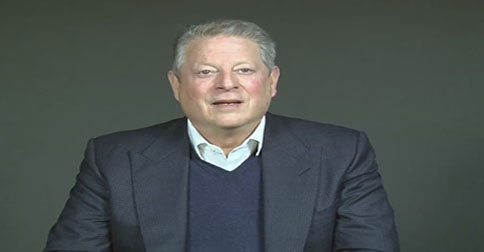 "This is the priority." Wurtzbach also shut down rumors that she was dating Dr. Mike Varshavki, who was earlier dubbed the "Sexiest Doctor Alive." While the two were previously seen in photos together on Wurtzbach's Facebook page, she clarified that they were only friends and "gym buddies." Selena Gomez has surpassed her BFF Taylor Swift as the most-followed celebrity on Instagram, The former now has over 69.4 million followers, just a notch over Swift's 69.2 million. Meanwhile, Kim Kardashian West came in third place with 63.7 million followers as of writing. In Vatican City, Pope Francis declared at a meeting with cardinals that Mother Teresa of Calcutta is to be made a saint on September 4. Mother Teresa was known as the “living saint” in her lifetime, and she will officially be bestowed the title of a saint of the Roman Catholic Church at a ceremony on the said date. Mother Teresa of Calcutta was 87 years old when she died in 1997. In Pennsylvania, U.S.A., a man who locked himself out of his house ended up in jail. Thirty-five-year-old Jeffrey Jones misplaced his keys and decided to scramble up to the roof. Unfortunately for Jones, he got stuck and called 911 to be rescued. When rescuers turned up, it was discovered that Jones was wanted for unpaid fines. He owes an estimated U.S. $750, and was carted off to Blair County Prison. Maia Santos-Deguito, the branch manager of the Rizal Commercial banking Corp. or RCBC, kept invoking her right against self-incrimination upon being grilled by the Senate Blue Ribbon Committee chair Sen. Teofist Guingona. “I would like to invoke my right against self-incrimination and I will answer questions in an executive session,” Deguito answered when Guingona asked her about the suspicious activities revolving around four bank accounts. An estimated U.S. $81 million have been allegedly taken from the Bangladesh Bank’s account in the U.S. Federal Bank of New York, transmitted to RCBC bank, then withdrawn by five bank account holders, according to GMA News. Award-winning musical sitcom Crazy Ex-Girlfriend has been making waves for its authentic and hilarious portrayal of Pinoys. Here are 10 very Pinoy things about the hit show, and why you should start watching ASAP. Got pals going back to somewhere far, far away? Take them to where they can load up on pasalubong!